oopps, should have said I thoroughly enjoyed reading about the trip. On the way home, I hit the car wash in Moab again after we split up on the last day. 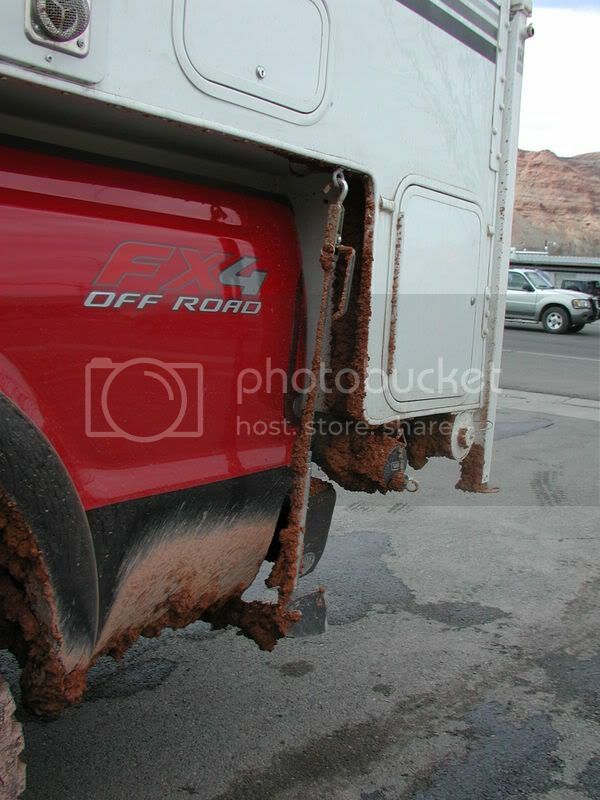 I then did the undercarriage of my truck three more times at home with my power washer (each time making my driveway look like a red rock road surface on top of the concrete). 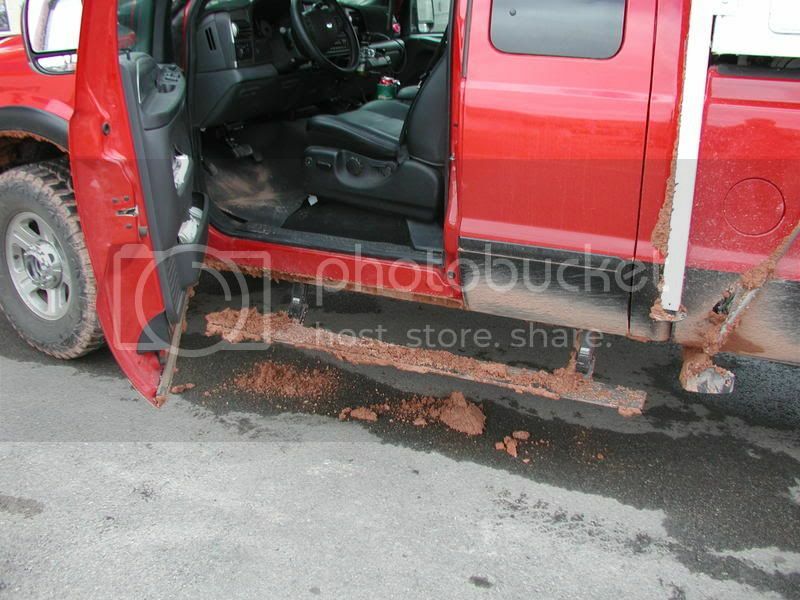 I was then under my truck checking out how I was going to install a final skid plate the other day, and sure enough, I still have some major clumps of red dirt/mud stuck up in a number of nooks and crannies. Truth is, we will all be carrying some "geologic memorabilia" of southeastern Utah under our respective trucks for some time to come. 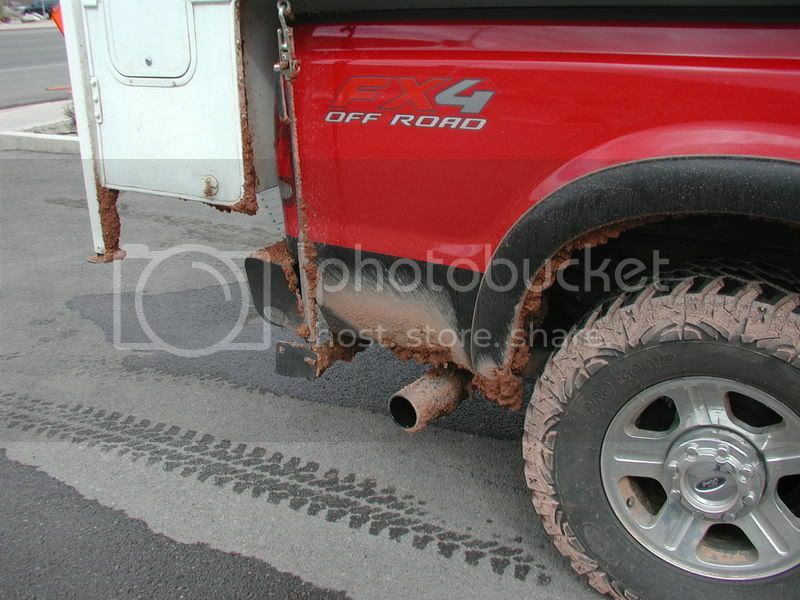 Here are some pics of the mud we picked up on the trail out. 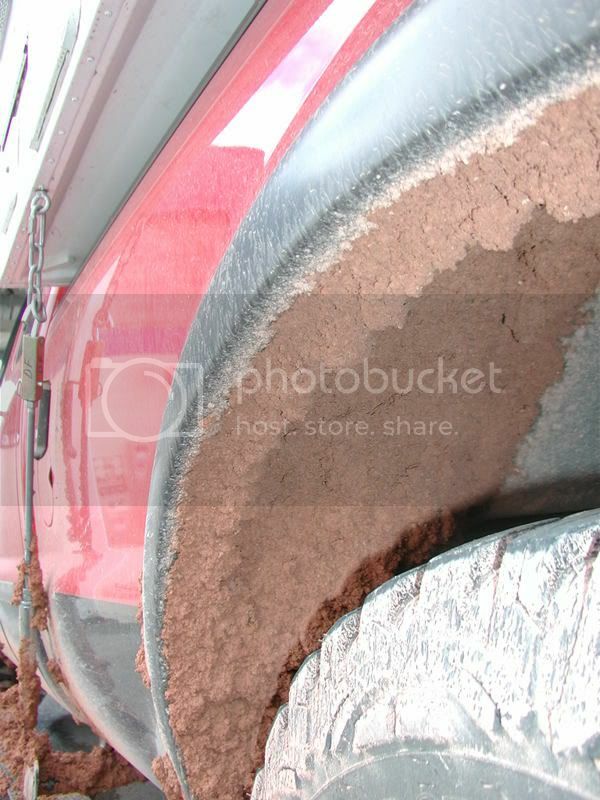 This is what was still sticking to us after a highway run that saw huge mud bombs continually dropping off. These pictures make me wish I was back on the trail right now. It was a fantastic trip with really good folks and awe inspiring scenery. Steve, Don, Janet, thanks again. Yep... my only regret is we didnt get any photos of the rough spots which, come to think of it, would have required a "sky hook" of some design to obtain. Dang ... I should have thought of that at the time! As Steve is aware, I do have the Dodge factory sky hook option on board. Yep, I can understand that. Seems strange, backwards kind of, but most situations where action photos would be at their best, a photo is the last thing on anyone's mind. You Dodge guys are always over compensating with your options. Yes! An excellent perspective 'from the driver's seat" !! BTW: is that a GPS antenna magnetically stuck to the front passenger side of the hood? Oh, man, do I want to do that trip! Thanks Steve, for sharing. So, tell me, since I'm an Alaska guy....where the heck is the White Rim and how do I get there?